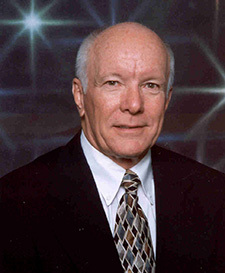 Gerald D. “Gerry” Griffin is the former director of the NASA Lyndon B. Johnson Space Center in Houston. His career in the United States space program began in 1960 and has included senior positions in government and industry. At NASA, in addition to his position as director of the Johnson Space Center, he also served as the deputy director of the John F. Kennedy Space Center in Florida and the Hugh F. Dryden Flight Research Center in California. Griffin also held the posts of associate administrator for external relations and assistant administrator for legislative affairs at NASA Headquarters in Washington DC. In the private sector, he held senior engineering posts with Lockheed and General Dynamics. During NASA’s Apollo Program, Griffin was a flight director in Mission Control and served in this capacity for all of the Apollo manned missions. He was lead flight director for three lunar landing missions: Apollos 12, 15 and 17. During the flight of Apollo 13, Griffin was scheduled to lead the lunar landing team in Mission Control. When the landing was canceled after the oxygen tank explosion, he led one of the teams of flight controllers who were responsible for the safe return of the astronauts. 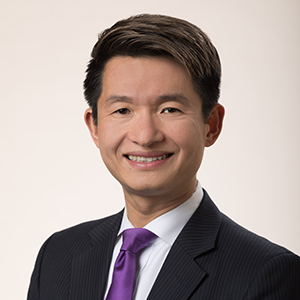 Christopher Chung joined the Economic Development Partnership of North Carolina (EDPNC) as chief executive officer in 2015. He brings more than 20 years of state-level economic development experience to his role. As a public-private partnership, the EDPNC is responsible for a number of economic development functions on behalf of the State of North Carolina, including new business recruitment, existing business support, international trade and export assistance, small business start-up counseling, and tourism, sports, and film promotion. In 2018, Triangle Business Journal named Chung a “CEO of the Year Award” recipient and Development Counsellors International chose him for their “40 Under 40” award in 2013. He previously held various executive and management responsibilities at the Missouri Partnership (2007–2014) and the Ohio Department of Development, now known as JobsOhio (1997–2007). Chung attended The Ohio State University, graduating Phi Beta Kappa with a double-major in Japanese and economics. Click the section titles below to view full panelist bios. In this session, scientists in diverse disciplines will share their current research, as well as discuss questions at the crux of human exploration in long-duration flight and deep space. In this session, panelists will discuss their research – conducted in NASA centers, academia, industry or through leveraged partnerships – and its real-world applications in the space technology arena. In this session, panelists at the cutting edge of aviation and aerospace will highlight current research that is preparing us for the day humankind ventures into deep space. In this panel students will hear from technical experts about their academic and career pathways, as well as gain an understanding about recruitment trends form human resource professionals. During the more personal roundtables, students will have the opportunity to have their questions answered by experts in diverse fields. Tom Davis, Vice President, Science and Research Programs, Crown Consulting, Inc.